August 5th, 1962 is the name of a play by Jesus Jimenez in which I was fortunate to perform the part of Marilyn Monroe alongside the charismatic and talented actor Eric Casalini, who portrayed Bobby Kennedy. I worked with Jesus and Eric on a project called Among Thieves in the past and I really adore working with them. It’s a cocktail of talent, audacity and professionalism! 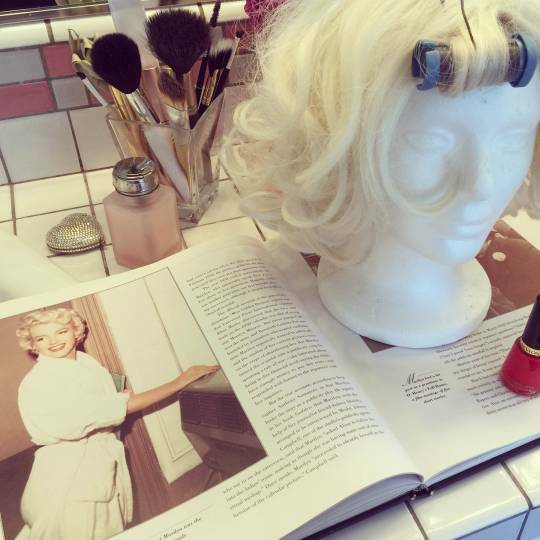 The play is about the night in which Marilyn Monroe died. As we know there were many speculations about her death. In the play, Bobby Kennedy was there that night as was her housekeeper. Marilyn was about to reveal to the press her affair with JFK as retribution for lying to her and Bobby came to stop her from doing so, only to find her high on medication. You can watch this experimental play which took place at SDSU Campus with Eric and I on the following link. 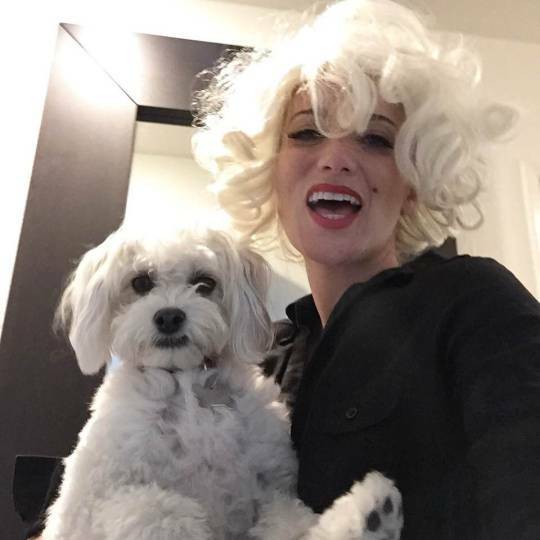 It’s an honor to have been given the chance to become the iconic character of Marilyn Monroe ! I grew up in a house with her on each and every wall. Even the house’s name was Marilyn (written in black iron on the side of the house)! My mother is an unconditional fan. Marilyn Monroe impacted my childhood (I used to watch over and over “Let’s Make Love with French” actor Yves Montand) and the world with her glamour, fun, lightness and witty sense of humor. She was an intellectual constantly seen between takes with a book. To prepare for the role I had no more than 5 days and we had 3 rehearsals of about 12 hours in total to learn the queues and get off book. We never really got to practice the play in the actual setting with the props before the time of the performance. My mother in law who used to act helped me to get a better understanding of the stakes of the situation in the script on the first read through and I watched “My Week With Marilyn” with Michelle Williams to grab some of Marilyn’s characteristics (somehow watching someone else who had to go through it was very helpful). I also looked through Marilyn’s biography, a precious book with amazing photos we have at home. Kendra, another fellow actress from the Poolhouse Project, kindly loaned me one of her wigs. We’ll be performing a series of plays at the Horton Grand Theater with the Poolhouse Project actors this upcoming summer as part of the Fringe Festival 2015. We hope we’ll see you there! August 5th, 1962 by Jesus Jimenez will be performed there as well. Next What’s in the Cannes 2015?